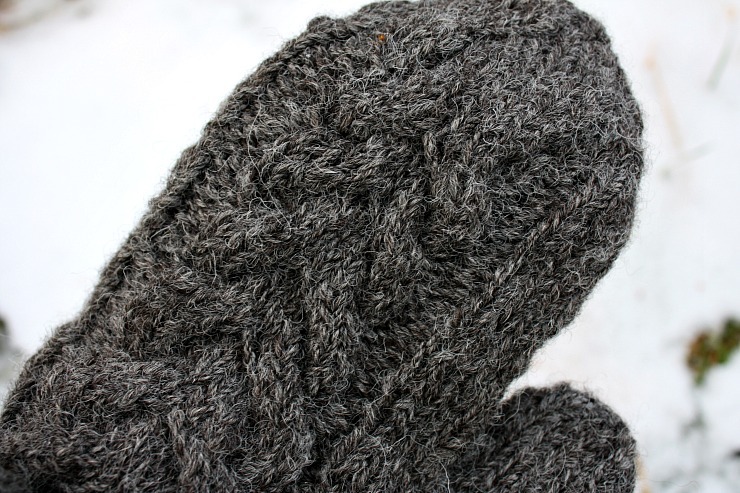 I’ve been very remiss in not posting these mittens sooner. 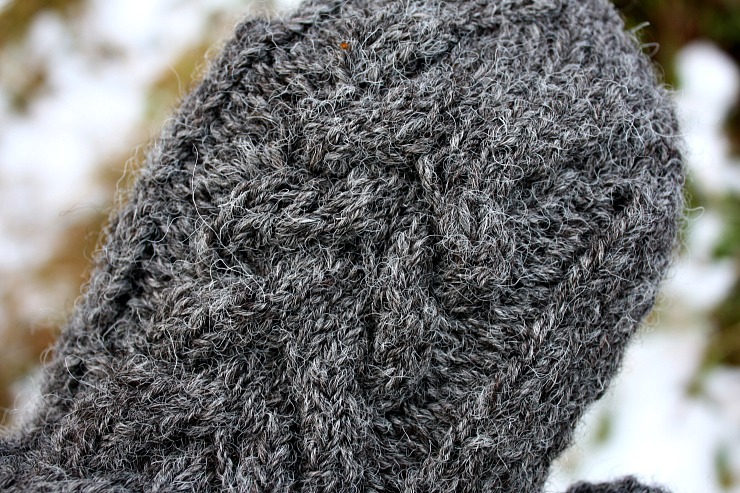 My lovely Auntie Lorna knit a beautiful pair of Gingersnap Mittens (a free pattern by Prairiesque) as a sample for me. She’s very kind! 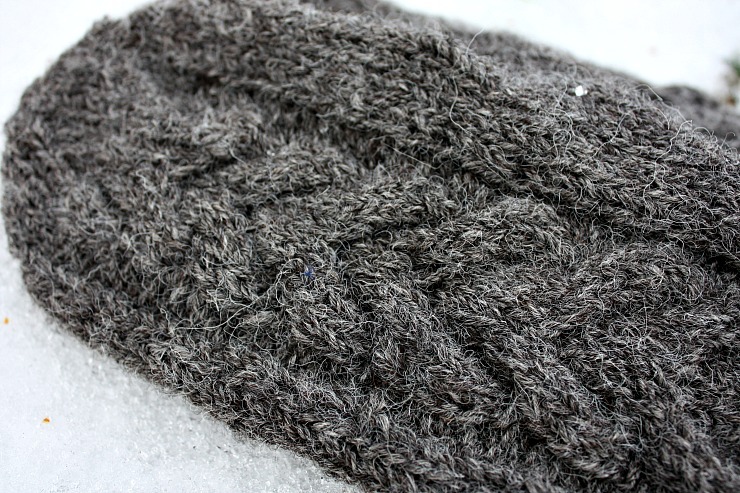 Auntie Lorna adapted the pattern significantly, changing it to two 3×3 cables and reducing the size considerably. 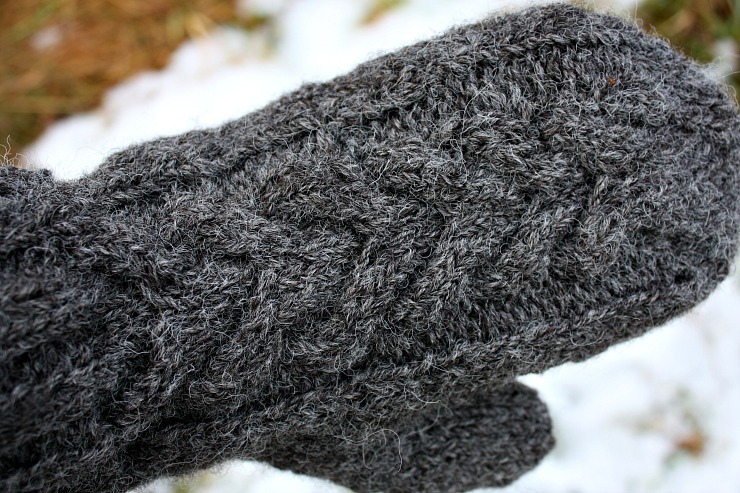 Much as I’d love to wear them – they’re so cosy and should be very hard-wearing (not to mention pretty in the yarn’s marled Coal Grey colour)- I’m going to keep them aside as samples for taking along to shows etc. This yarn, my Zwartbles~Cheviot Blend, is now out of stock but there will definitely be more spun for next autumn. If you’d like to hear a very thorough review the lovely Louise of Knit British has one in episode 76 of her podcast.